The U.S. tax system works in large part on the honor system. Because people aren’t always the most honest when it comes to deciding how much they owe the government, the Internal Revenue Service requires taxpayers to provide information about amounts they paid other taxpayers. 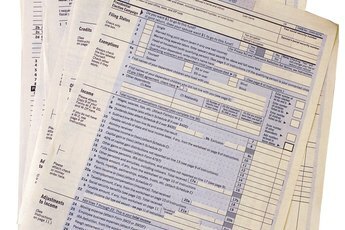 Just as employers provide a Form W-2 for each employee every tax season, businesses may provide a Form 1099 to document payments a range of payment types. For example, an independent contractor will receive a Form 1099 from the company that engaged him to do a job. Sometimes, ordinary folks must report something on a Form 1099. Most ordinary people will never need to complete and mail out a Form 1099 for finance payments. If you’re making interest payments to a lender, the lender takes care of all the bookkeeping required by law -- and its on the hook if it doesn't. On the other hand, if you’re receiving interest payments, someone ought to be sending you a Form 1099 showing how much interest income you need to report. 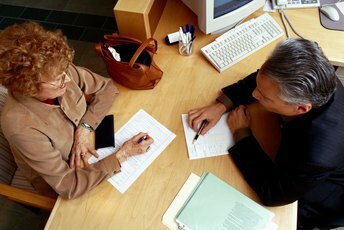 There are a couple conditions under which a person might need to file a Form 1099. When you pay someone more than $10 in royalties or more than $600 for ordinary income activities, like working, during the course of your trade or business you must complete a Form 1099 and mail copies to that person and the IRS. You also must file a Form 1099 if you and another person have a joint account, you don’t file taxes together, and you alone receive a Form 1099-INT showing all the interest income. If you borrow money from someone as part of your trade or business, and pay her more $10 in finance charges, you’ll need to fill out a Form 1099-INT and mail her a copy. Enter the amount in Box 1, complete all the biographical information for yourself (the payer) and the person you paid (the recipient). Mail copies to the person you paid and the IRS by Jan. 31st to avoid penalties. To report shared finance payments for which you alone received a 1099, fill out a Form 1099-INT showing her portion of the finance payment reported on your Form 1099 -- unless, of course, you want to pay her taxes. If you don’t run your own business and you don't have a joint account with someone you don’t file taxes with, you’ll likely never have to report a finance payment on a Form 1099. But even though you don’t receive or file a Form 1099 for finance charges on a personal loan, it’s still taxable income that must be reported by the recipient. And in the event you do need to file a Form 1099, failing to do so on time can lead to fines of up to $100 per form. What If I Got Paid Cash & Didn't Get a W2? 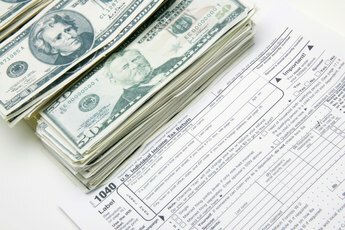 Can I Report Miscellaneous Income Without a 1099? 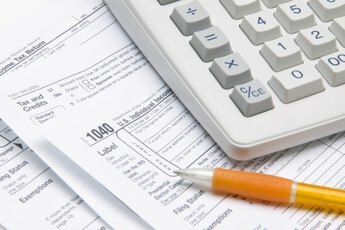 Do We Need to Give Our Babysitter a 1099 Tax Form? How Do I Get a 1098 Mortgage Interest Statement for the IRS? Who Should Receive 1099-MISC Forms?